This machine adopts microcomputer control, easy to operate, not only for the beauty salon for a special diet and detox, but also suitable for dizziness, headache, neurasthenia, high blood cholesterol, waist, leg pain due to the nervous system, blood system, digestive system and secretion disorders, as well as variety of causes constipation due to mental stress and full psychosis and menopause comprehensive, achieving prevention and health functions, which is a multi-purpose functional excellence machine , to relieve the air of human, a good health security, family, and a must-new darling. Carefully before using this product, read the instruction manual and the correct use of the operation. The lymphatic detoxification slimming machine is known as the human body "scavenger", mainly within the circulatory system of the human body. The inner recycle including: the blood circulatory system, the lymphatic circulatory system and tissue fluid, etc. 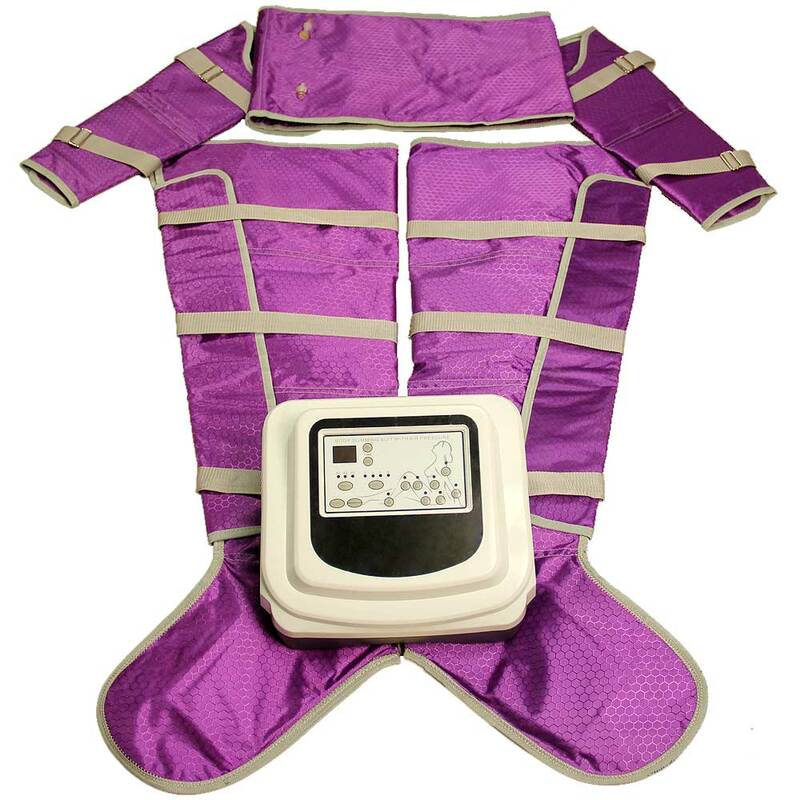 The air inflation by the air bag tie customer ' s abdomen, arms, legs lymphatic at inflated circulation to a certain period of time and deflated, prompting within the circulatory system to speed up the cycle in the human body, in order to achieve detoxification slimming, endocrine regulation. 1. Safety, because we use 36 V safety voltage for the machine. 4. 24 groups chambers close to body parts, achieving double efficient in the process. Local or systemic use, single people or double use, can be operated simultaneously. Pressotherapy lymphatic massage is a well-known SPA treatment. The Pressotherapy Machine is invented according to that and it is more powerful than the manual treatment.